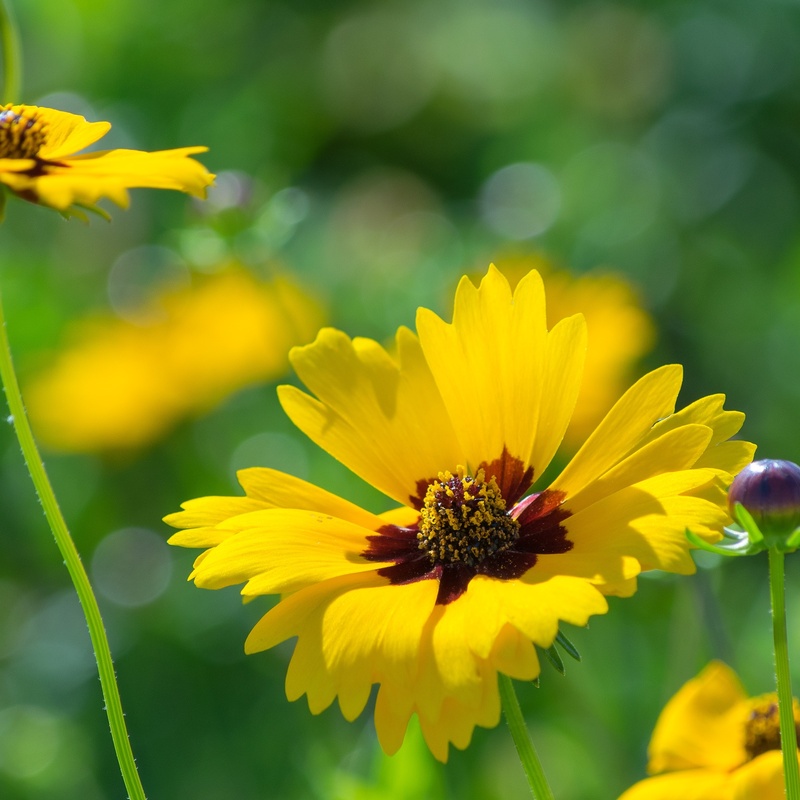 The Large-Flower Tickseed (Coreopsis grandiflora) is a hardy perennial with threadlike leaves divided into 3 lobes and yellow ray flowers approximately 1-2 inches in diameter. 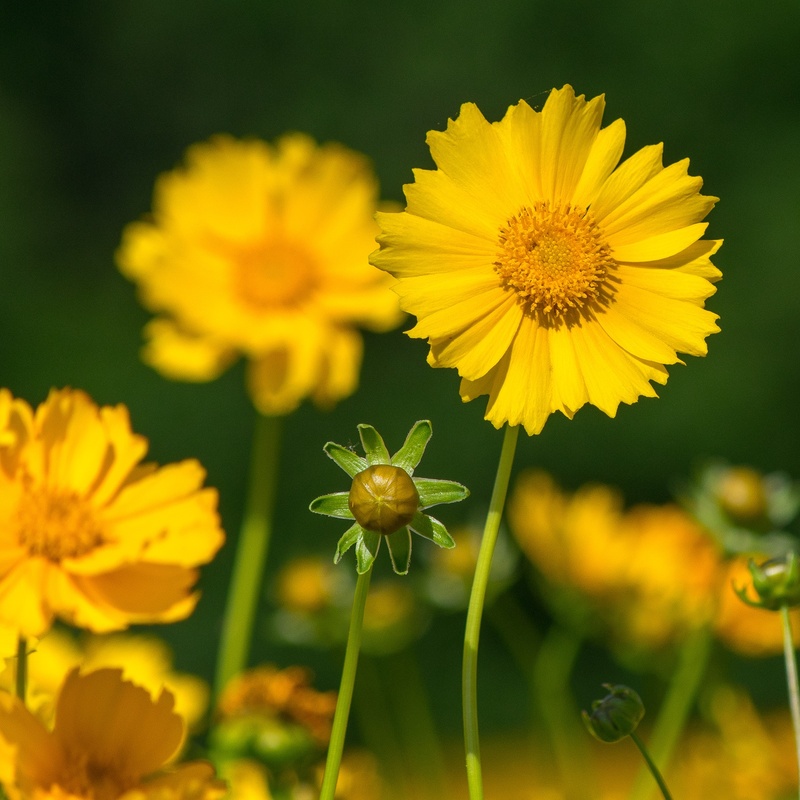 The Large-Flower Tickseed (Coreopsis grandiflora) is a hardy perennial with threadlike leaves divided into 3 lobes and yellow ray flowers approximately 1-2 inches in diameter. Usually found in dry, open woods, clearings, pine barrens and roadsides from Maryland south to Florida and Arkansas. Plants form broad, dense clumps with many stiff, leafy stems and spread by slender rhizomes. 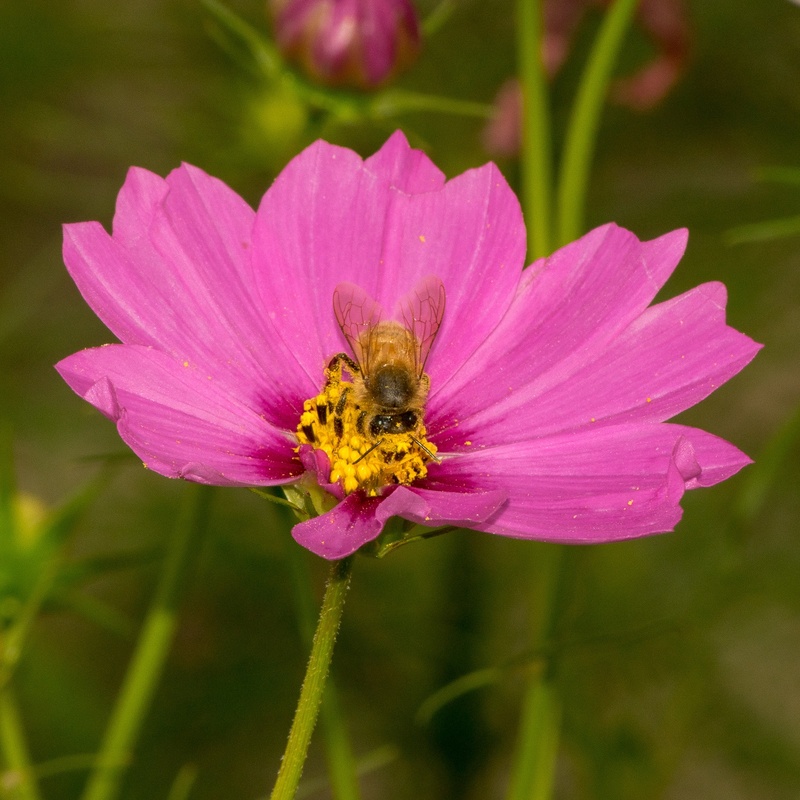 Popular in the garden and plants are drought tolerant once established. 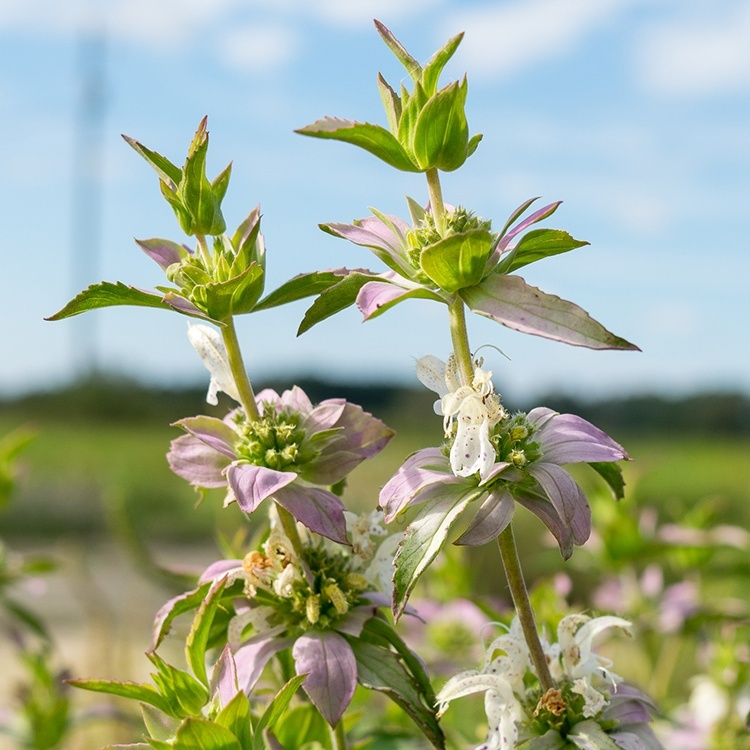 This plant is a workhorse in establishing wildflower meadows, erosion control, and utility rights of way. Plants will establish and colonies will start increasing over time and slowly spread beyond original seeding. Does well in low fertility soils. Will usually bloom first year after planting.